“It is He Who sits above the circle of the earth, and its inhabitants are like grasshoppers, Who stretches out the heavens like a curtain and spreads them out like a tent to dwell in. He it is who reduces rulers to nothing, Who makes the judges of the earth meaningless. Scarcely have they been planted, scarcely have they been sown, scarcely has their stock taken root in the earth, but He merely blows on them, and they wither, and the storm carries them away like stubble. “To whom then will you liken Me that I would be his equal?” says the Holy One. 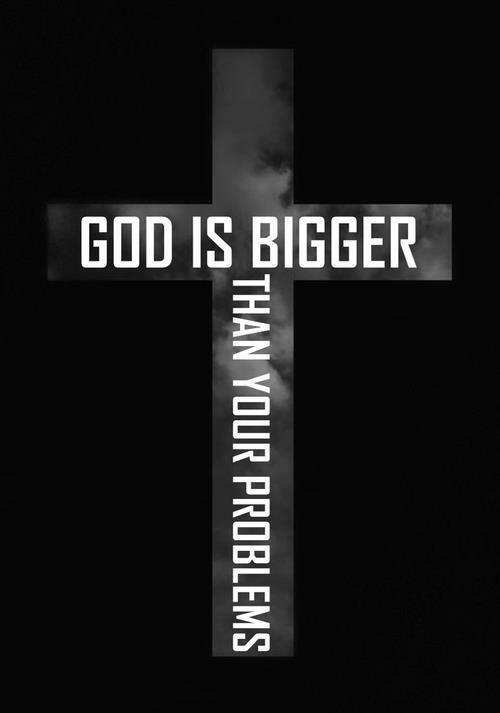 GOD IS BIG, BIGGER AND BIGGEST! Big is defined as: chief, preeminent; outstandingly worthy or able; of great importance or significance; operating on a large scale, of great force, of great strength, an individual or organization of outstanding importance or power. Oh precious Heavenly Father, my Place of peace, the Sustainer of my soul, my Comfort during times of chaos, and Lord it seems that my life is in a constant state of chaos. It’s frustrating, but mainly because most of the chaos in my life was placed here by my very own hands. Last night I began writing this, and I just could get the message out. But, Father, as I’ve meditated over Your words, I’m amazed at the “BIGNESS” of You! In size: We are like grasshoppers compared to You. In authority: The presidents, the kings, the dictators, the “most highs” – their power will diminish at Your hands. Judges decisions will carry no weight. Those who have been appointed making decisions for nations will fall before You. In power: A mere breath from You contains enough power to blow them over. A mere breath! There is no “I’ll huff, and I’ll puff and I’ll …” One mere, simple, little breath that renders us as helpless as a piece of stubble. In knowledge: You not only know how many stars there are, Lord, You can call them by name. I’m just guessing, but I bet You get the right name the first time. Talk about big! I only have 2 kids and over half the time I call them by the wrong name. Father how much more precious are we in Your sight than the stars. You have numbered the hairs on our head. You can call us by name. You can distinguish the sound of my cry from every other person’s on the face of this earth. You know our comings and our goings. Father, every knee will one day bow before You and every heart acknowledge You as the ONE AND ONLY GOD! You are bigger than anything we will ever face in this world, and today I’m thankful I sit here with You as my Father and not my judge. Father I pray for anyone who reads this and sits here with You as judge. Not because You are unjust, but because of the eternal death sentence they face. Oh Lord to be in a constant state of death and never die –the darkness, the sounds, the pain, the loneliness, the everlasting separation from YOU – a God who loved them enough to send His Son to die for them. Father, may they choose to kneel before You now and accept Your precious gift of salvation. Saving us from all our sins, cleansing us, and restoring us into the image of Your Son – making us fit to be called Your child. Joint-heirs with Christ! Open our eyes Lord, that we may always see our need for Jesus. In Your precious Son’s name I pray … Amen! Categories: ABC of who He is!